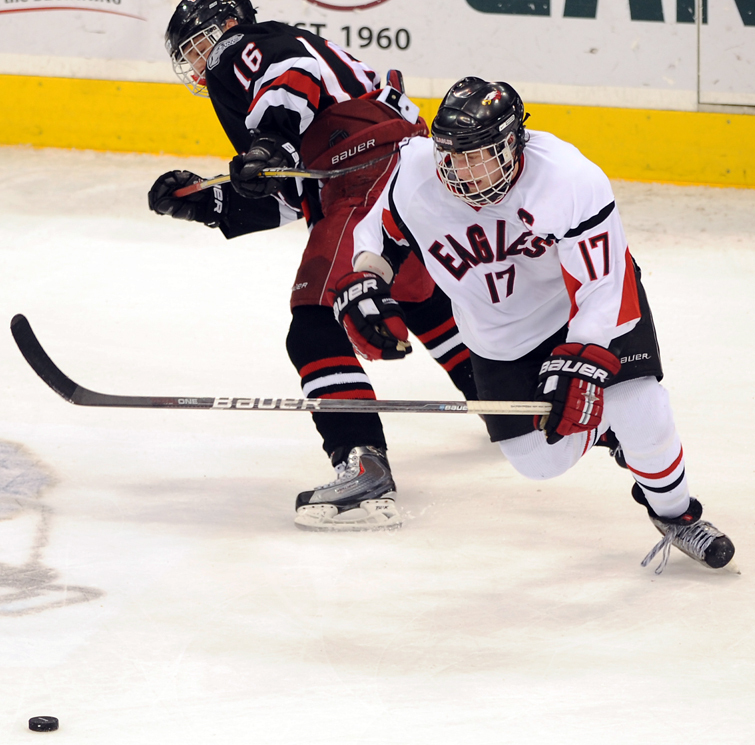 After Eden Prairie scored in triple overtime of the state Class 2A championship game against Duluth East on Saturday, March 12, the Eagles’ kicked off the relieved celebration. Thirteen exhausted seniors raised their hands towards Eden Prairie’s second championship trophy in three years as tears ran down their faces. 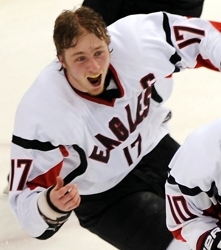 “I’ve never cried harder after a game in my life,” Eden Prairie defenseman Dan Molenaar said. “It’s a lot better than crying tears of sadness, I’ll tell you that much. It finally hits you that it’s done." Being "done" probably meant more to Molenaar than anyone else on Eden Prairie. "I'm having (arthroscopic hip) surgery on Tuesday (March 15) and I’ll be out for a little while," said Molenaar, who will have the surgery at Fairview Southdale Hospital in Edina. The senior co-captain’s storybook ending to his high school career could have been over a lot sooner than the thrilling title game. It might not have started at all. 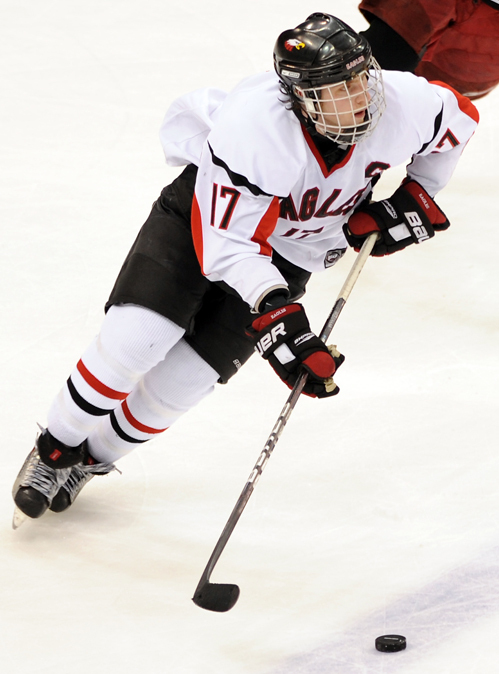 Molenaar sustained a potential season-ending injury during play in the Upper Midwest High School Elite Hockey League last fall. “I’ve been playing with double hip impingements since the start of the season,” Molenaar said following Eden Prairie’s victory. According to WebMD, a hip impingement is a "separation of the ball from the thigh bone at the upper growing end (growth plate) of the bone." Molenaar described in detail how he suffered the injury. “I remember the day -- October 9, we were playing Team Northwest," Molenaar said. "I think it was the last shift of the game. Puck was in the corner and I had been on the ground with somebody else from the other team. At the time, nobody knew exactly how severe the injury was. “We didn’t know it was that serious until a couple weeks later,” Molenaar said. “I had gone to chiropractors and they said I might want to get it looked at, it wasn’t getting better. The news was difficult to bear for Molenaar who never dreamed his last season of high school hockey would end before it even began. The decision came with great cost as the pain became a theme in Molenaar’s life. Some may wonder why he would willingly choose to play through all the pain, to grind through the therapy. His efforts did not go unnoticed by Eden Prairie coach Lee Smith. “To be able to play knowing you’re going to have two hip surgeries and find a way to get yourself healthy enough to skate and play in the games like he did -- amazing,” Smith said. “It just shows how committed he was to his teammates, his community, to us as coaches -- it just shows the character he has. Sticking around paid off as Molenaar won the coveted state championship and was selected to the Class 2A all-tournament team. “Senior year to end like this, we wouldn’t have wanted it to end any other way,” Molenaar said. “This is a lifelong memory -- not for just senior year but for the rest my entire life. It’s something I can share with these boys forever. With the honor of being named to that all-tournament team and the championship won, Molenaar had no regrets. Credentials: Molenaar played on Team Southwest in the Upper Midwest High School Elite Hockey League last fall where he registered 12 points (two goals, 10 assists) in 17 games. 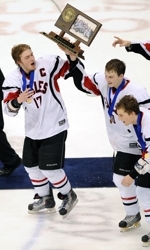 Molenaar was also a co-captain of Eden Prairie -- the 2011 Class 2A champions -- and was selected to the Class 2A all-tournament team. The senior defenseman contributed 29 points (six goals, 23 assist) for the Eagles.